Seven people were killed in Egypt's capital Monday night as more clashes broke out between Morsi supporters and the military, while the visiting U.S. envoy maintained that Egypt had been given a "second chance" at democracy. Hundreds of pro-Morsi demonstrators blocked a bridge in central Cairo late on Monday. 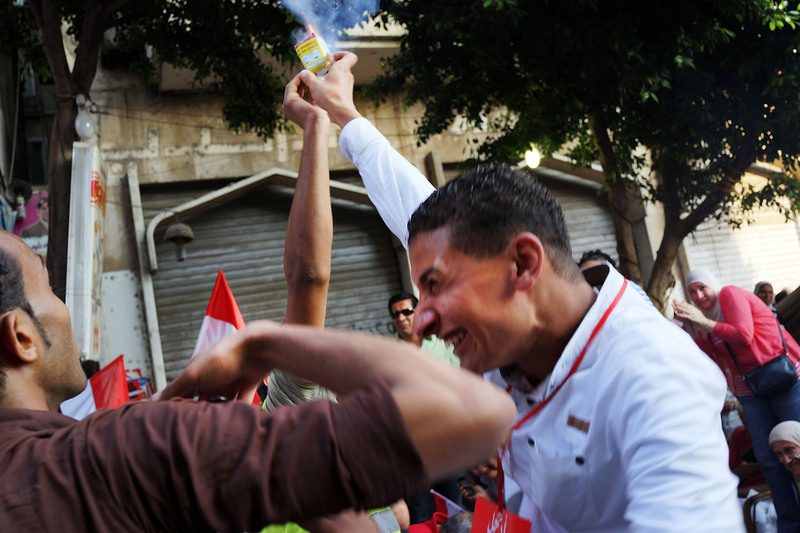 Violence erupted between the demonstrators and anti-Morsi protesters, with police using tear gas to disperse the crowd, leading to two deaths. In the Cairo district of Giza, another five were killed in more clashes between supporters of the ousted President and anti-Morsi locals. All in all, 261 people were injured in the altercations, and 401 people were arrested. The violence erupted only a few hours after U.S. Deputy Secretary of State William J. Burns, who is visiting Cairo, made a statement claiming that Washington has no intention of meddling in Egypt's affairs. "I did not come with American solutions. Nor did I come to lecture anyone. We will not try to impose our model on Egypt," Burns said to journalists at the U.S. embassy. "Egyptians have second chance to put their post-revolutionary transition on a successful path," he added. Mr. Burns met with Egypt's interim government on Monday, but both the Tamarrod movement and the ultra-conservatist Nour Party refused to meet with the U.S. official. The Muslim Brotherhood also said it had no plans to see him, although it's not clear whether they were invited to a meeting or not. Meanwhile, tens of thousands of Muslim Brotherhood supporters gathered for another sit-in outside the Rabaa Adawiya mosque in Cairo on Monday evening. The demonstrators have staged vigils there for the last three weeks, and have vowed to remain at the site until ex-President Mohamed Morsi is reinstated. Tension continues to grow in the region since President Mohammed Morsi was removed from office by the military. While some have labeled the move a "coup", the U.S. has been careful not to use that terminology, as doing so would legally require it stop sending the yearly $1.5 billion in aid.